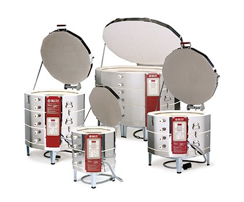 Outlaw Pottery is an authorized dealer for Olympic Kilns, Skutt, Paragon, Evenheat Kilns and Laguna Kilns. Through our distributorship of Laguna Clay Company/Axner, we also sell nearly all other major kiln brands for schools, art studios, glass artists, potters, ceramic artists, production, PMC jewelers and more. Factory trained kiln expert Jason Outlaw, The Florida Kiln Doctor, is experienced in the installation and training of new kilns for new school construction. 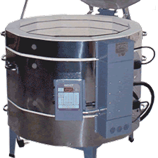 Are you new to electric or digital kiln firing? When you buy your kiln from us we will teach you how to fire it and walk you through for your first few firings to ensure that you fully understand the process. When we sell you a kiln, we don't just give you a cheap price and have the trucking company drop it on your doorstep. 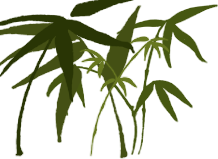 Outlaw Pottery is different from online kiln sellers because we coordinate deliver, install your kiln and teach you how to use it. We warranty our work and give you our mobile number to call for your first bisque and glaze firings so we can walk you through the process to guarantee successful first firings. 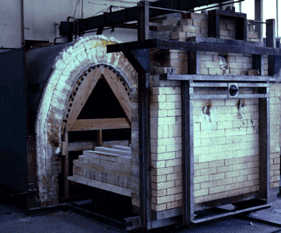 In addition to electric kilns, we also sell gas kilns and refractory bricks, burners, ceramic fiber and components for gas brick kilns and wood-fired groundhog kilns. For a kiln quote, call Outlaw Pottery, LLC at 321-292-0762.